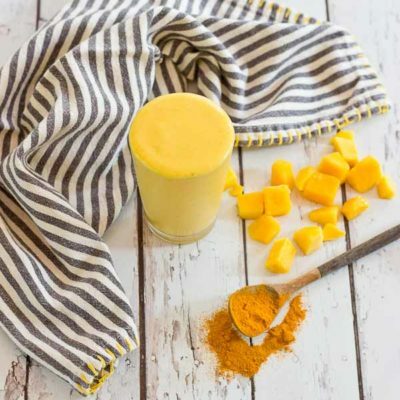 This “Golden Milk” Turmeric Smoothie makes you feel good from the inside out. With only 4 ingredients, it’s easy to prepare this delightful smoothie. Turmeric, the superstar in this smoothie, is a bright yellow spice that acts as a powerful anti-inflammatory. For turmeric beginners, add 1/2 teaspoon and increase depending on how bold of a flavor you like. I made mine with 3/4 teaspoon. Delish!